An earlier version of this article appeared in The Huffington Post on Jan. 28, 2013. Stepping through the manicured gates of the Islamic boarding school where I teach and live in Bogor, West Java, you’d never know I live in one of the most densely populated areas in the world. The sprawling school campus is an oasis, a literal breath of fresh air amid the smog and pollution that has been wreaking havoc on my lungs since I arrived here five months ago. I’m not exactly roughing it here in Indonesia. Many of my colleagues here in Indonesia as Fulbright English Teaching Assistants face far more material struggle. Some ETAs, as we’re called, teach upwards of 80 students per class, with kids packed into non air-conditioned rooms lacking desks and school supplies. One teacher sweated so much one day it exposed the tattoo on her back usually concealed by her modest dress. Some ETAs suffer daily power outages, water shortages or rat infestations. Not me. My largest class is 21 students. It is spacious and air conditioned. There is plenty of water. There is even a swimming pool. Food is served on a regular basis. Ants and cockroaches are my only six-legged nuisance (although some roaches approach rat-size). So what am I doing here? Shouldn’t I be in a remote village without running water or power struggling to get by on rice and scraps of tempe? Perhaps. But the swimming pool doesn’t help my students string together sentences in English, something a good portion of them still struggle to do despite a decade of English instruction. (English is a mandatory subject for Indonesian elementary, junior and senior high school students.) A well-stocked cafeteria doesn’t mean they’ve tasted a homemade chocolate chip cookie. My diplomatic strategy: Food + Fun = Cultural Ambassadorship. Call it soft (and gooey!) diplomacy. A two-story library doesn’t mean that there are English books to read. The English book section consists primarily of old romance novels left from past Fulbrighters. To be fair, living at a boarding school gets lonely. And air conditioning doesn’t blow away misconceptions about the United States. Miss, are Muslims even allowed to go America? Would I be allowed to wear my headscarf there? All African Americans are gangsters, right Miss? Did Jews cause 9/11? Wealthy or not, I’m grateful that I’m here to offer some answers. Of course you can visit. Of course you can cover your hair. Not even close. Let’s talk about why you think that. The U.S. is really different from what you see in the movies. I think we have a very different understanding of 9/11. I was in the area on that day. My childhood next door neighbor died. Have you ever learned about 9/11 in school? The prominence of the school also means that I encounter students from all across the Indonesian archipelago, which in turn means I’m offered a fuller view of Indonesian life. I have students from as far east as Jayapura, Papua, and as from as far west as Banda Aceh in northern Sumatra. Each student brings his or her own local culture, and often, a distinct local language. I know how to say “thank you” in at least 12 different regional languages. I’m not the only one that has to culturally acclimate, as my students have to acclimate to each other. Still, Islam and Indonesian identity unite them. They all rise at 4:30 a.m. each day to pray. They all pray four times a day thereafter. They all salute the Indonesian flag. They all believe in ghosts, a uniquely Indonesian phenomenon with roots in ancient animist beliefs. An apparent ghost invasion prevents the school’s use of its impressive greenhouse. And while most students pay the full, high priced tuition, many are here on scholarship either sponsored by their province or directly by the school. The intellectual spectrum is as diverse as the regional spectrum. While many students indeed struggle with English, I have a few exceptionally talented students. For them, my presence offers access to information about opportunities abroad. Indonesia’s most prominent universities — including the University of Indonesia, Gadjah Mada University in Yogyakarta, and Bandung Institute of Technology — still rank far behind many English-speaking universities. 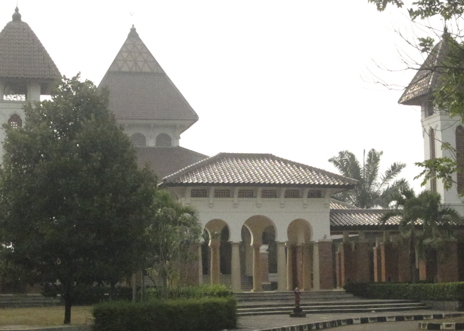 The University of Indonesia, the highest ranking among them, fell to #273 according to the 2012 world rankings published by Quacquarelli Symonds. Fitri, an 11th grader who reads the English dictionary for fun and gave a speech during a mock election we held in class that could have rivaled Obama’s 2004 Democratic National Convention keynote speech, deserves better. Kevin, a budding artist and nearly flawless English speaker, deserves better. This is not to say that students necessarily need to flee Indonesia to receive a good higher education or that Indonesians are not working hard to better their education system or that learning English will automatically ensure more or better opportunities. Organizations such as the Putera Sampoerna Foundation are making some excellent educational strides with its network of senior high schools and growing university. But for now, at least, the reality is that my most talented students could get a better education elsewhere, including in many English-speaking countries. That reality weighs on me each time I step in the classroom. I also wonder if my presence is simply a band-aid, a limited or cosmetic gesture that does not generate real progress. 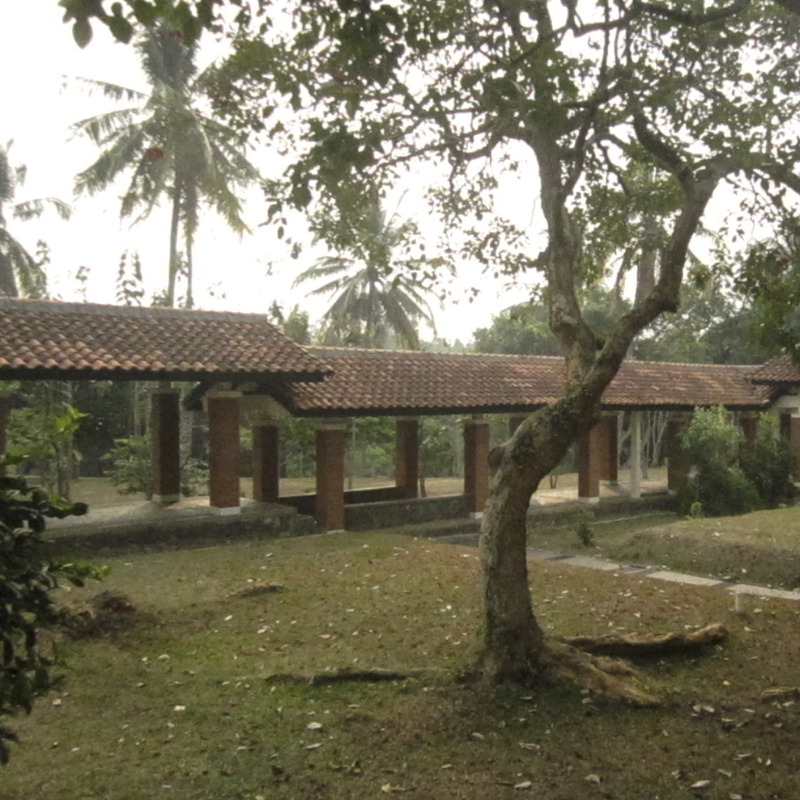 Perhaps we need to address the core structural issues that are the real problems — both inside and outside these well-kept, stately surroundings lies an Indonesia in need of fundamental educational repair. Would it not be better to face these core problems head-on than to disguise them within an aesthetically pleasing veneer? About the author: Sarah Brafman is a Fulbright English Teaching Assistant based in Parung, West Java. She graduated from Columbia University with a degree in history. Prior to living in Indonesia, she worked as a paralegal in the New York County District Attorney’s Office. Contact her at sarah.j.brafman@gmail.com.